HAHAHA ya kagak lah... waktu itu iseng2 doang ngetik pake basa Inggris, eh tidak disangka tau2 sudah panjang, males banget kan udah setengah jalan diulang lagi ketik pake bahasa Indo lol. Yah itung2 latian deh haha Trying and learning. That's what practices are about, right? 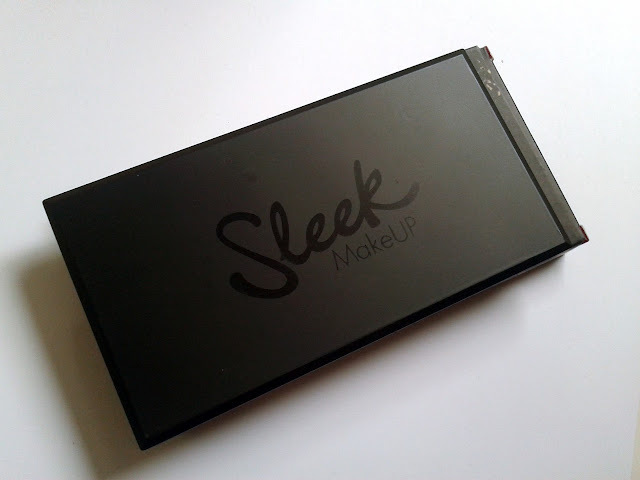 Sleek is a cosmetic brand from United Kingdom that offers make up with affordable price. 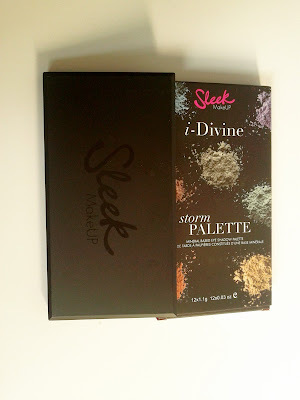 I believe Sleek in UK is considered as a drugstore brand, no? correct me if I'm wrong on this. Anyway, how did I know that Sleek Storm is good? of course I did a research before deciding to buy it LOL. My motto is that if 7 out of 10 reviews that I read said it's good, then it is good HAHAHAH So I had a quite high expectation. 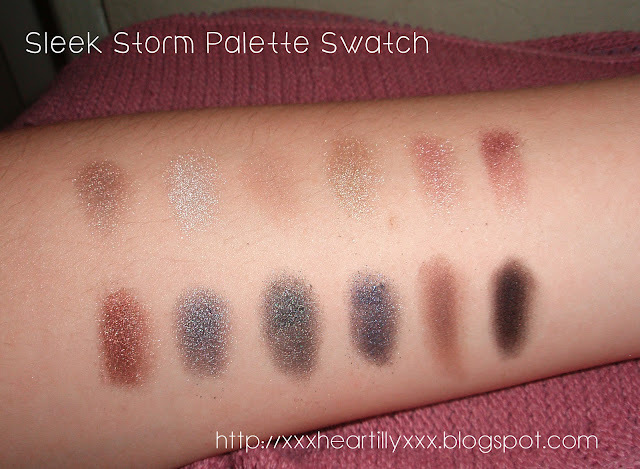 One of them even said that Sleek Storm is a dupe for UD Naked and the texture is as silky as MAC, I don't know about this one though, since I don't own both UD & MAC. OK, let's open it and see what's inside! Beautiful right? 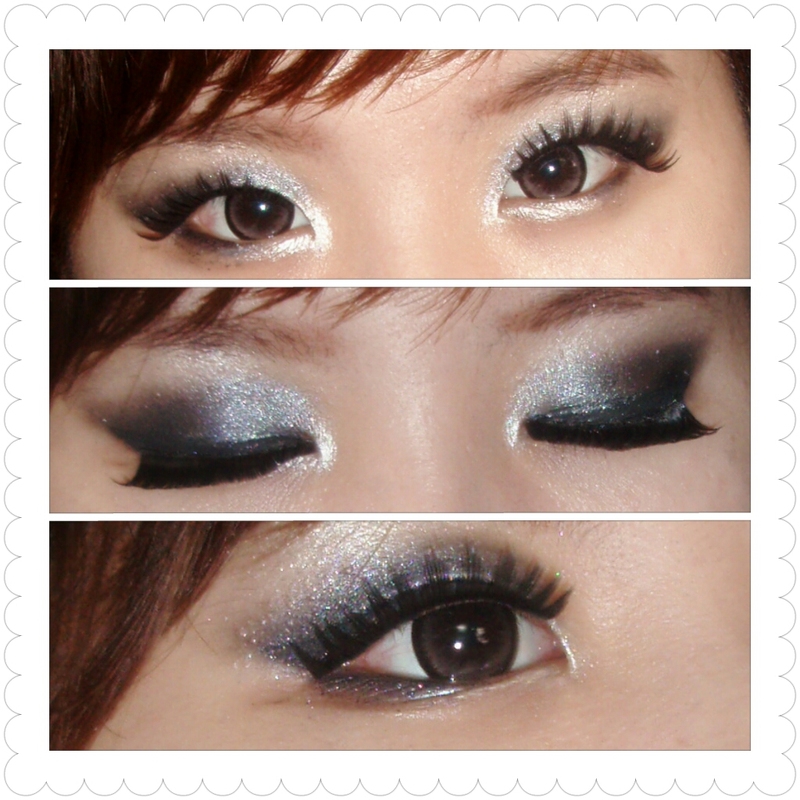 o_____O oh those sparkly shimmers! Sleek Storm palette consists of total 12 eyeshadows, 9 are shimmery and 3 are matte. all swatched without primer! 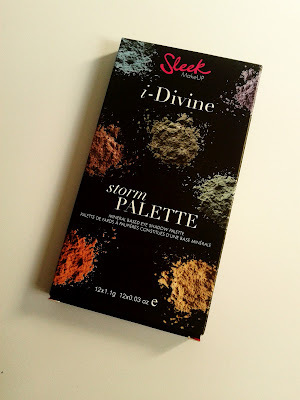 The pigmentation is OK! 4. 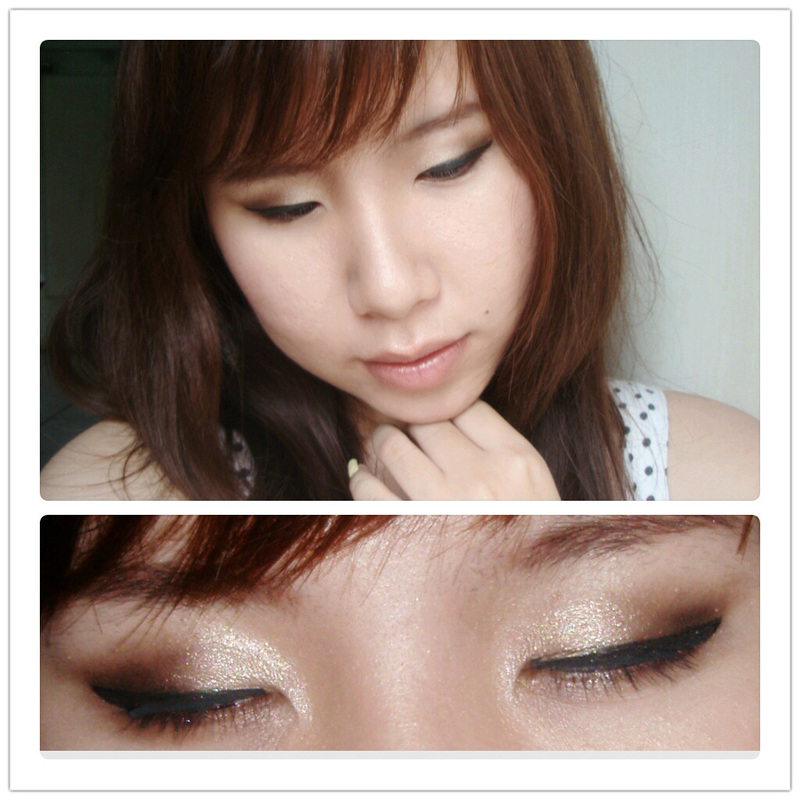 Shimmery gold, almost similar to the first color, but this one is more yellowish. 3. Shimmery dark green, a deep forest green, looks very dark when swatched, the camera flash cant capture the green so it looks almost similar like the gunmetal, so I have to edit the pic by increasing the green. 5. Matte dark brown, great for contouring as well. My personal favorite is the pink shimmer eyeshadow on the 2nd from the right on the top row! When I first swiped the shimmers, they felt really good, very smooth and not powdery, I also noticed a kind of creamy sensation, and no major fallout (which is good!!). Unlike my Revlon Perle eyeshadow that feels velvety smooth but the glitters and powders are everywhere, it is frustrating really. Not only it makes the eyeshadow case look dirty but also boros you know, tiap dicolek bubuknya menyebar, hooh I believe it will hitpan quickly. The pigmentation is impressive as well, and the shimmers beautifully reflect the light. The matte ones aren't as pigmented & smooth as the shimmery ones. Especially the black, it's not as black as I expected T_T and it's also hard. 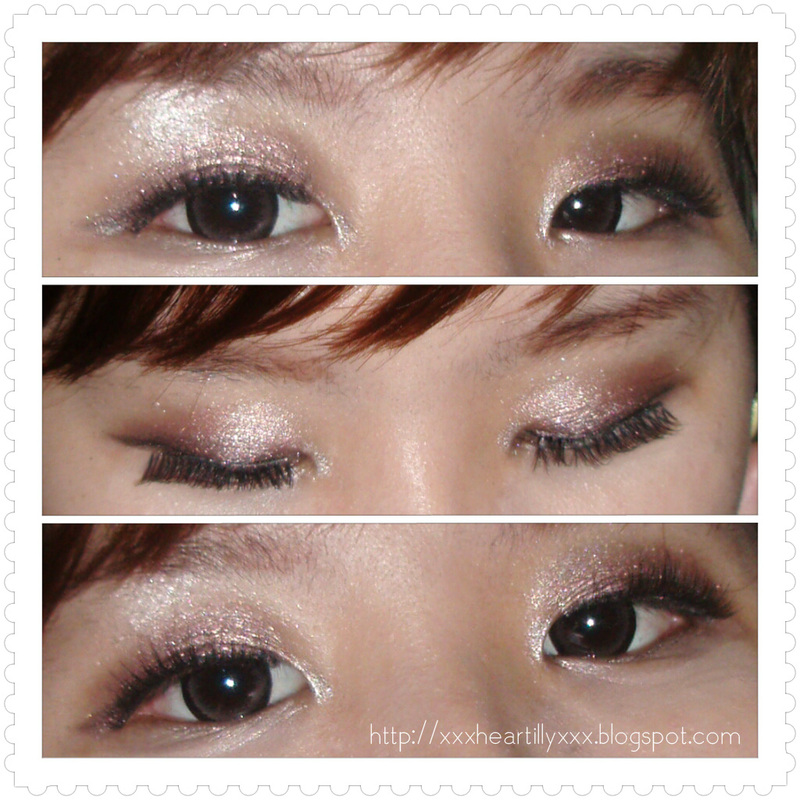 And light ivory color to highlight my brow bone & inner corner of my eyes. No eye-primer. really vibrant, right? * Soft and silky, easy to work with. It has some glittery/powdery fallout, but not too many, so it doesn't annoy me much. * For such quality, we have to pay $15 only. 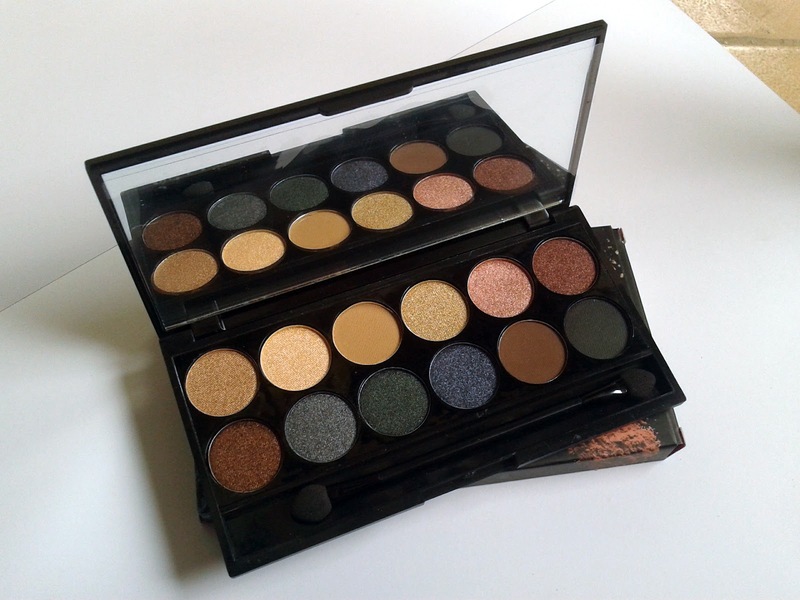 A palette with 12 excellent eyeshadows for only $15? * I wish I got the waffle-printed instead of the flat one lol but thats not a big thing, really! I personally really love this palette! 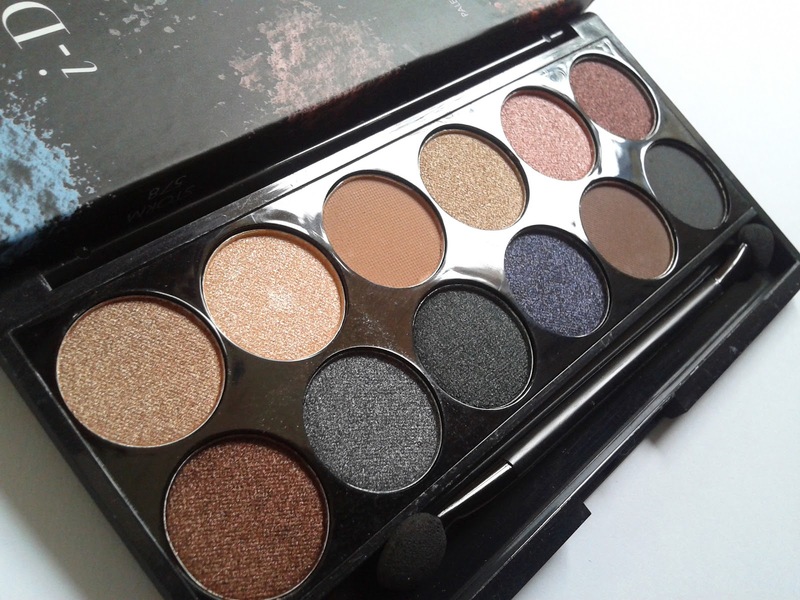 This will make a good investment for a newbie and especially for those who are looking for a good affordable palette like me, I really recommend this for you. tutorial dong sist.. suka banget look yang kedua.. I love the look you created and love this palette. I agree with Sarah do a tutorial on your second look. I love that one too. Now on my way to check Ebay for Sleek palette haha! 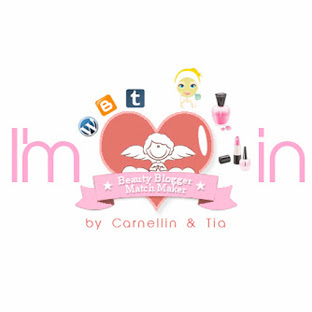 Where did you buy Sleek products? Thanks heaps.